Grand National Ante Post Tips: Willie Mullins Can Win Aintree Race Again With Former Cheltenham Festival Winner, Rathvinden. With the Cheltenham Festival now in the rear-view mirror, attention in the national hunt world is turning to the north-west with the Grand National just a matter of days away. The Cheltenham spectacular may be the highlight of the winter for the purists in the sport but the Aintree spectacular is where the wider world gets to join in and this years race is shaping up to be another thrilling renewal. The worlds' greatest steeplechase is always a sight to behold and with the race continuing to rise in quality, we can expect more of the same in 2019. All eyes will be on the brilliant Tiger Roll who is being well backed in the Grand National odds to be the first horse to win the race in successive years since Red Rum but the Gordon Elliott trained hero is not going to have it all his own way. Willie Mullins remains the top dog when it comes to the training ranks in Ireland and he once again proved that at Prestbury Park, with Al Boum Photo giving the Closutton trainer his first win in the Cheltenham Gold Cup. Next on the hit list for Mullins will be the National, a race he won in 2005 with Hedgehunter, and he once again looks to have a very real chance of claiming the famous Liverpool contest. The Champion Irish trainer will have a number of chances in the race this year, including Pleasant Company who came 2nd in 2018, but the stand-out entry is clearly Rathvinden. A winner of the four mile National Hunt Chase at the Cheltenham Festival last year, the horse appears to have been laid out for a Grand National tilt ever since which makes him an intriguing contender. The 11-year-old has suffered with injury problems in the past which is a slight worry but he looked in rude health on his only start this term when winning the Bobbyjo Chase with more than something in hand. The Fairyhouse race was won by Hedgehunter before winning at Aintree and it looked like the ideal prep race for a horse that jumps, travels and stays like a National type. Ground conditions shouldn't inconvenience Rathvinden with his four mile win at Cheltenham coming on soft ground last year and that coupled with his Bobbyjo success on good to yielding ground this season proves his versatility. Horses need a touch of class to win at Aintree these days and he has that with a 3rd place in a Ballymore at Cheltenham as a novice hurdler on his CV and with a mark of 154 looking more than workable for a relative lightly raced chaser, Rathvinden has all the tools in the bag to claim the biggest contest in the sport on April 6th. A winner of the National Hunt Chase at the Cheltenham Festival last year and returned at Fairyhouse to win the Bobbyjo Chase. Rock solid contender. 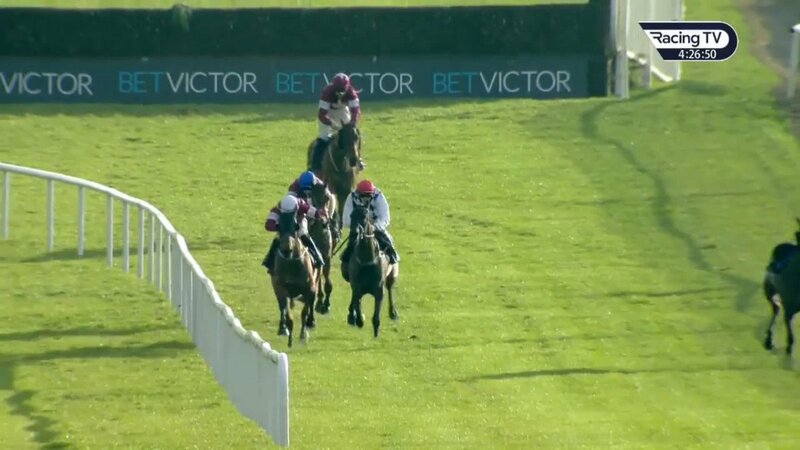 Tiger Roll might have put down the most compelling marker since the release of the #GrandNational weights, but Rathvinden ought to be considered right behind. He's a must for any shortlist.